Lanterna Rossa farmhouse in Castiglione del Lago, in the province of Perugia, is within the countryside surrounding Lake Trasimeno, where there are many trails immersed in the natural landscape connecting ancient villages rich in history, ideal for hiking and mountain biking enthusiasts. 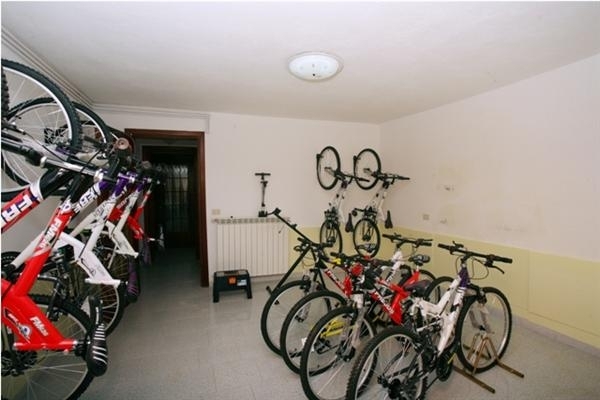 Our facility is always prepared to provide equipment and assistance to those who are passionate about these sports: we provide free mountain bikes and have a small workshop where you can carry out your own minor repairs on your bikes, as well as a dressing room with lockers. By speaking to the staff at reception, you can get brochures and thematic guides with pre-tracked trails accompanied with descriptions and altimetric charts to help you choose the best routes according to your fitness level. Experts can also arrange to go on road or mountain bike rides, accompanied by a certified guide, with a maximum daily distance of about 200km lasting half a day or a full day: you can easily reach destinations such as Siena, Assisi, Orvieto and Perugia from our farmhouse. Our staff will be at your complete disposal to suggest the best routes and to help you to organise your tour with all the information you need.